Oh, I always have a good chuckle when I see blog or forum posts with this subject line, which is why I added a question mark at the end. 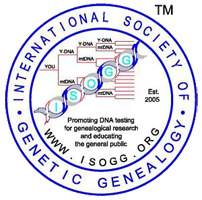 How on earth are you, the family geneaarchivisty person or genealogist supposed to suddenly become a DNA expert and understand the overwhelming amount of information included in your DNA test results? Mentioning shifting sands…Check back on your Ethnicity/Origins results frequently because as more people test the more the data improves. You might start out at 98% European today and in two months you may be 96% European. Not big changes for sure but over time you may see your numbers go up and down a bit. On FamilyTreeDNA find your “My Origins” section of your Family Finder test.Clicking “My Origins” will take you to a map, a breakdown of your ethnicity and a list of matches with their ethnicity. On Ancestry it’s under DNA. Clicking on DNA will take you to a page that summarizes your information, with a map of your origins and a pie chart showing your ethnic make-up and a link to click to go more in-depth. On 23andMe it’s in Ancestral Composition, click “Go” and you will see a color-coded map of your origins and percentages of your ethnic breakdown. On all of these pages hover and click all round to see if there are things for you to read, aside from the obvious verbiage. You can also look over a few of your top DNA matches (the people you share part of your DNA with) without leaving the page. Have fun learning about where you came from in the grand scheme of things. Previous Previous post: DNA – Where to Test?